Growing up in Hong Kong and Shenzhen, China, Kitty Yeung was torn between two passions: physics and art. She prioritized academic training for her educational path, opting for physics because of the potential to positively impact society. 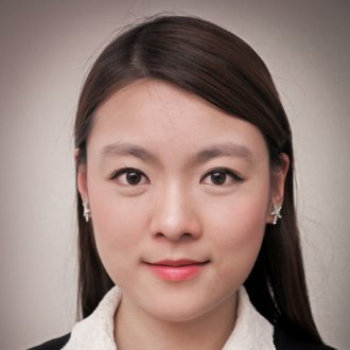 After earning a Ph.D. in applied physics at the Harvard John A. Paulson School of Engineering and Applied Sciences (SEAS) in 2015, Yeung found a unique marriage of her interests, working as a research scientist at Intel Labs in Santa Clara, while also pursuing side projects as a freelance fashion technologist. By day, she explores novel solid-state technologies in an effort to make communications systems more efficient. Using photonics, Yeung is part of a team that develops faster transceivers with wider bandwidth to reduce costs and energy consumption at massive data centers. Yeung’s interest in consumer technology goes back to her days as a Ph.D. student in the lab of Donhee Ham, Gordon McKay Professor of Electrical Engineering and Applied Physics. Her thesis focused on constructing plasmonic circuits in 2D electron systems; harnessing the functionality of plasmonic waves to create circuit structures that can be 100,000 times smaller in mode-area than their electronic counterparts. But as she completed the intricate experiments, Yeung felt a burning desire to learn something new. An artist by nature, she enjoyed drawing beautiful clothing for the comic book characters she created, so she purchased a sewing machine, taught herself to use it, and began making physical outfits. In the meanwhile, she finished her thesis and accepted a job at Intel in Santa Clara. Also an avid painter, Yeung soon began printing her paintings onto garments, creating fashion that matched her artwork. She kept tinkering, and began exploring ways to incorporate the electronics she used in the lab into her fashion designs. Soon, Yeung was a full-fledged fashion technologist, incorporating LEDs and motion sensors into the vivid dresses she produced. The Bay Area arts community quickly took notice of her work, and she was invited to participate in San Francisco Fashion Week last year. Her employer noticed her fashion designs, too, and a group at Intel that developed maker hardware reached out to Yeung for help. The company manufactured a variety of maker hardware devices, from Arduino-compatible microcontrollers to open-source Edison and Curie chips, but demonstrating potential uses of this hardware is often challenging, Yeung explained. Yeung uses Intel components in her projects; designing the dress, soldering the circuits, and then writing up blog posts about the fashion and the technology. Her articles showcase unique uses of Intel technologies, like accelerometers or pattern matching engines, while appealing to the artistic sensibilities of makers. One of Yeung’s favorite projects is a dress covered in LEDs, designed to represent stars in the night sky. When the wearer moves her arm in certain ways, different miniature constellations light up. Another project, which demonstrates Bluetooth technology, involves sunglasses with changeable transparency. Not only can users manipulate the transparency of sunglasses worn by nearby individuals, interactions like a handshake or a nod, or even a certain heart rate, can also trigger a change in opacity. Yeung said these projects aim to create unique user experiences and enhance friendly human-to-human interactions with the assistance of technology. She sees her pieces as more than an outlet for her own artistic passions. Hopefully, these designs could influence the entire wearables industry, which has been hampered by products that are bulky, uncomfortable, or ugly, Yeung said. She envisions a future where more garment manufacturers are able to seamlessly incorporate technological features into products, making wearables more appealing for users and producers. Looking back on her initial decision to pursue science over art, Yeung has no regrets. With an artist’s eye and a physicist’s intellect, she has found an ideal way to make a positive contribution to society. You can find instructions for the projects mentioned in this article, and other open-source projects, on Yeung's website. We want to share your story! Do you have an interesting story you'd like to share with your fellow alumni? We'd love to hear from you! Contact the SEAS Office of Communications. The photos and GIF used in this article are sourced from the website "Art by Physicist Kitty Yeung."